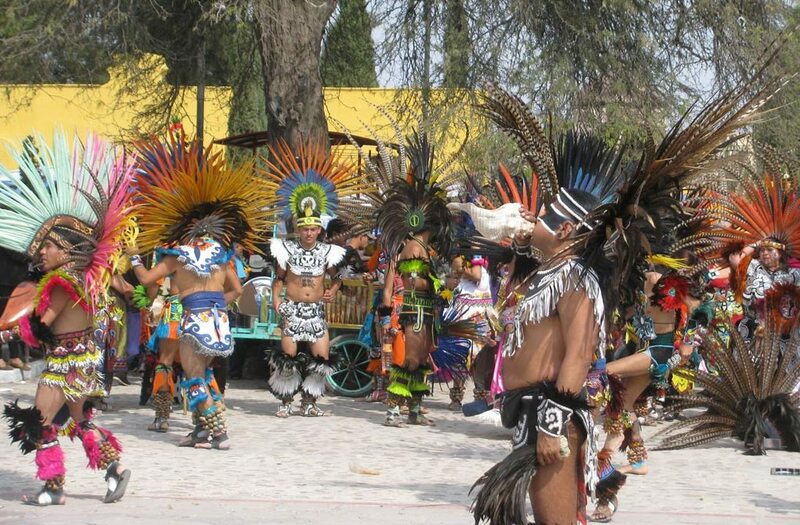 On January first in the church El Llanito, in Dolores Hidalgo, is a large festival for the indigenous of Guanajuato giving thanks for the miracles attributes to a 16th century image of Christ. On the 28th of December Otomis and Chichmecas depart Commonfort and Celeya to arrive in San Miguel in the afternoon to dance outside the Parroquia. Sleeping in the doorways of the Parroquia, or close by, the pilgrims leave for Atotonilco on the 29th. On the 31st pilgrims from across the state, and country, arrived in Delores Hidalgo to celebrate with hours of dancing in thanks for another year’s blessings from the Lord of the Afflicted (Senor de Los Afligidos). 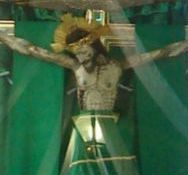 The image represents the spirit of Christ at time of his crucifixion and reflects the suffering of the indigenous. It was found abandoned along the roadside in 1559. In the 18th century the temple, El Llantio, was built to house the image.